What are casino VIP and loyalty programs? If you like to go large when you gamble then you should look into casino loyalty programs before you play. Most of the time a VIP casino program will offer significant benefits that can range from bonus cashback rates to increased table limits and more. If you like to gamble online and want to get the most out of your money then read on to find out how casino loyalty and VIP programs can benefit you. What are casino loyalty programs? Each specific casino will run their program slightly differently and offer different rewards, but the common thread that binds them all together is that the programs are run to entice customers to spend more money. Most high roller casinos will have multiple VIP tier lists, categorising them like bronze, silver, gold, diamond etc. Most casino programs will offer bonuses such as increased cashback rates, higher wagering limits, lower fees etc with the exact figures getting better the higher you climb. At the upper tiers a lot of casinos will provide you with a personal account manager and access to exclusive VIP events. How do I become a VIP at a casino? Some casinos are very explicit about the requirements for each of their VIP tiers but many are coy about it and claim their VIP program is ‘invitation only’. Regardless of how it is presented, in almost all cases becoming a VIP simply involves consistently depositing large amounts of money and gambling a lot. Many casinos will often provide loyalty tokens for each bet you make with them, regardless of whether you win or lose. These go under a range of names, from comp points to loyalty points, but they generally all work the same. A combination of minimum deposit amounts and comp points earnt per month qualifies gamblers for each of the VIP tier lists. How much do I need to spend to qualify as a VIP? Most casinos are reluctant to explicitly set out the limits required to qualify as a VIP at different tiers. By keeping the requirements vague and by invitation only, it amplifies the illusion of exclusivity. It also discourages people from gaming the system, such as by only spending enough to qualify for a particular tier. Of those that do publish requirements, minimums can range from depositing £500 per month for bronze to £4,000 per month for gold. The very top tiers are nearly all reserved for invitation only, so expect five figure sums and more per month to qualify. They are generally not amounts that most people can afford to gamble on a regular basis. Why do casinos offer VIP programs? Casinos are keen to promote their own VIP programs because it is a way for them to differentiate themselves from the competition. VIP programs in particular are used as a way to attract big spenders to their casino. If you can afford the minimums required, they can offer a vastly preferential gambling experience. VIP status must be maintained by meeting the minimum requirements for each tier on a typically monthly basis, so they are considered a form of guaranteed income for the casino. Needless to say casinos are eager to secure as many VIPs as possible for themselves, so the benefits they offer are very generous. What benefits are there to being a VIP member? The specific rates are scaled such that gold tier VIPs get better bonus offers than bronze tier VIPs, but at all levels they offer a better gambling experience than regular members. Some of the benefits, such as a VIP account manager, are reserved for the higher tiers of VIPs only. A personal account manager is provided by the casino to be on hand 24/7 to provide support and answer any questions or requests you have. Are loyalty programs better than new customer offers? The most common type of bonus most casinos offer are initial deposit bonuses that increase the amount of money new customers can gamble with when they first make a deposit. These bonuses are significantly better for new customers than for repeat customers, as they are used by casinos to attract as much business as possible. There is a significant lull in the benefits of being loyal to a casino between new customer bonuses and VIP bonuses, such that if you are not going to meet the minimum requirements to qualify as a VIP then you are better off casino hopping for the new member bonuses. If you are, however, prepared to meet the minimums required each month to qualify as a VIP, then the benefits are substantially better. The best initial deposit bonuses only apply to your very first deposit with a casino because most gamblers don’t stick around for very long at one casino. VIP programs are there to encourage big spenders to regularly gamble, so they offer significantly better benefits to those who meet the requirements. 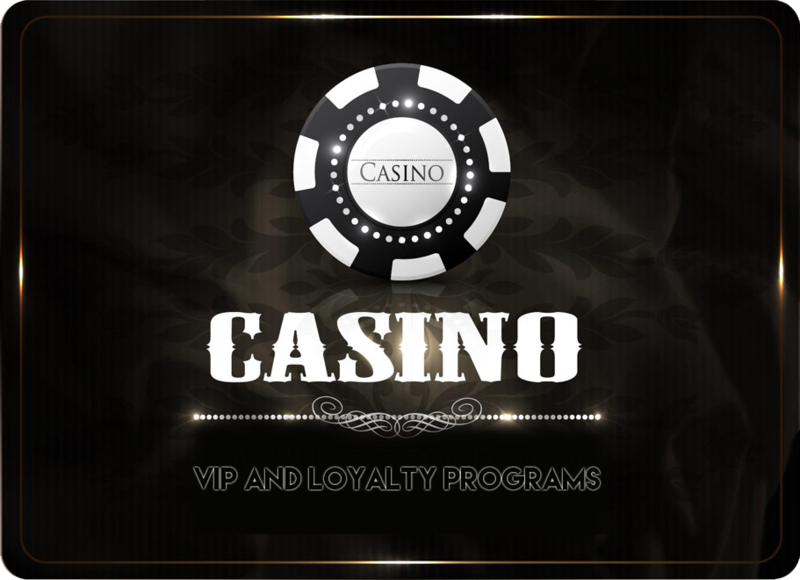 VIP programs reward loyalty to a particular casino and offer significant benefits to those who gamble regularly. They exist to entice gamblers to spend more, so it’s important to make sure you can afford to gamble the amounts required on a regular basis, but if you can then the preferential treatment and benefits on offer make for a superior gambling experience. Enjoy the best rates on offer, the fastest payout times and considerable exclusive VIP bonus offers and events.